Undertale, naturally for an RPG where you can befriend monsters, has dates. A fan decided to slightly expand one of them. Note that there’s spoilers for Undertale’s Pacifist Route below. 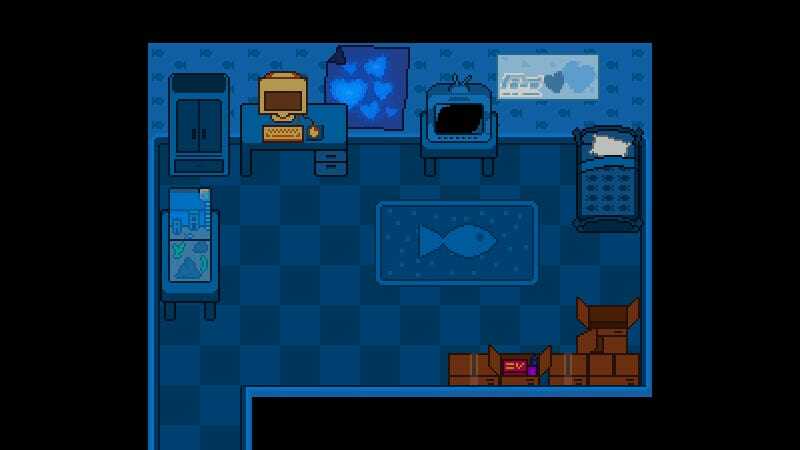 This series of concept art pieces, done by Redditor Agentalex9, shows what Frisk’s encounter at Undyne’s house could have been like if it had started off the same way their date with Papyrus did. In this version, you would walk around her bedroom, poking at her things as she gives commentary, before proceeding to the cooking lesson. After that you’d probably feel slightly worse about her house burning down. Still, it’s quite well done! Agentalex9 captured Undyne’s personality pretty well, and it all looks like it could be straight from the game. The GIF at the top covers the whole series of pics, but if you’d rather read at your own pace, click here for the album on Imgur.